When the mercury rises, our furry friends are among the most vulnerable. They need their two-legged counterparts to take extra care of them. 1. Walk your dog in the early morning or late evening when it is cooler. Do not walk them in the heat of the day. 2. Test the ground before you walk your dog on it. If it is too hot to hold your hand on the grounds for 5 seconds then it is too hot for your dogs’ paws. 3. Remember, snakes are more active in warm weather. Be vigilant when out on walks and keep your dog on a lead. 4. Provide plenty of clean fresh water. Supply more than one container just in case one gets knocked over. Make sure the water is not in direct sunlight. 5. Bring your pets inside. If this is not possible, make sure they can access plenty of cool, shady areas so they can stay out of direct sunlight for the whole day. 6. You can also fill a water bottle and freeze it, once frozen put it in their hutch/kennel for them to lean against. 7. 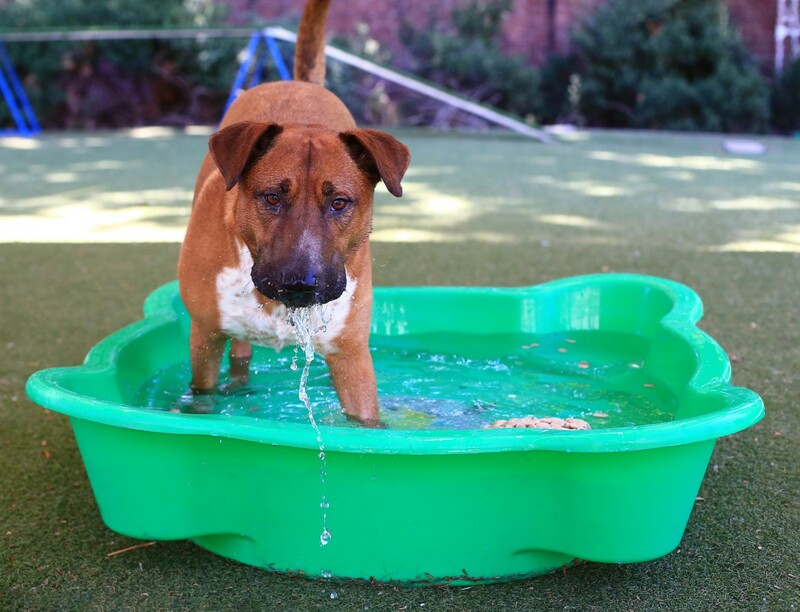 Dogs love taking a dip, so if you can, fill a clam shell kids pool with water for them to wallow in. Make sure it is in a shady place and that no children can enter the area. 8. Never leave your pet in car on a hot day. Even in the shade, it only takes a few minutes for the temperature inside the car to double or even triple. 9. If your pet has a pink nose it can easily become sun-burnt. You can purchase special sunscreen for pets from pet shops. 10. Have an emergency fire plan in place. Be prepared and plan early to ensure you are able to evacuate safely if a bush-fire occurs. It’s not hard to keep your fur babies comfortable in the heat, it just requires a little extra thoughtfulness. With these tips, pet owners can make sure their four-legged friends stay healthy and relaxed even on scorching summer days.